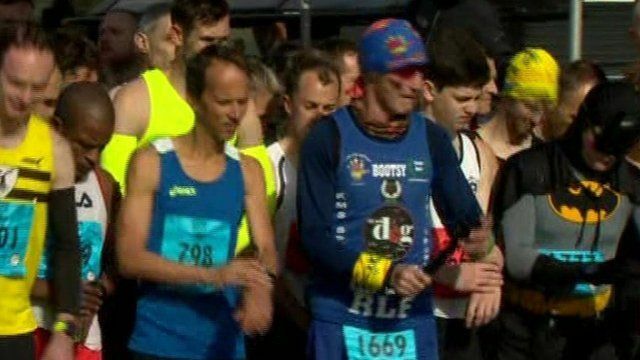 More than 17,500 runners have been taking part in the Belfast City Marathon. The race starts at Belfast City Hall and finishes at Ormeau Park. BBC Newsline's Mark Simpson sampled the atmosphere.